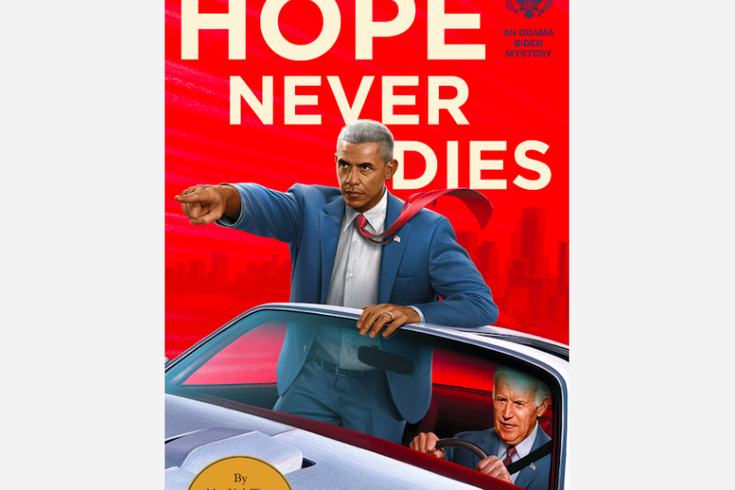 New York Times bestselling author Andrew Shaffer is currently on tour to promote his new book "Hope Never Dies," a thriller that imagines former president Barack Obama and former vice president Joe Biden as a detective duo. Shaffer will be at the Free Library of Philadelphia's Parkway Central branch on Monday, July 30. The event, which starts at 7:30 p.m., is free to attend. In "Hope Never Dies," an Amtrak conductor, whom Biden befriended during his years commuting between Delaware and Washington, is found dead. The circumstances seem suspicious, so Biden enlists the help of the 44th President of the United States to help solve the case. If you've been missing the Obama-Biden bromance, you'll find plenty of it within the book's pages. Shaffer is also the author of the "Fifty Shades of Grey" parody "Fifty Shames of Earl Grey." Andrew Shaffer to discuss "Hope Never Dies"